A new change has been implemented regarding supplies provided by the Campus Copier Program (i.e. toner, staples, etc.). The Campus Copier Program will no longer house supplies on campus. However, the process to request for copier supplies will remain the same. 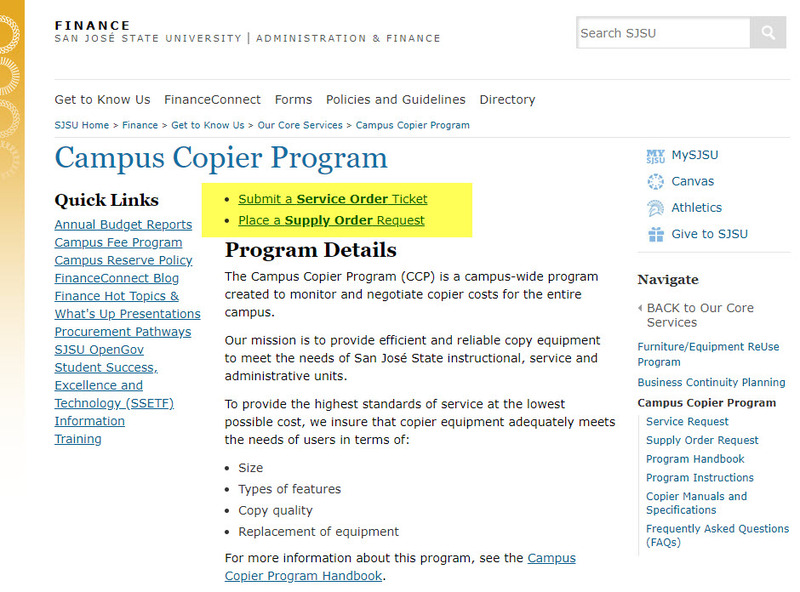 Departments will still need to complete the Copier Supply Order Form., then fax the request to the Campus Copier Program for processing. Supply orders will now be fulfilled and delivered to your department by one of the three copier vendors that service your machine: Pacific Office Automation, Caltronics (CPO), or Standard Business Machines. If you have any questions, please contact Sara Bonakdar, Campus Copier Program Coordinator, at sara.bonakdar@sjsu.edu.